In our homes, we get some of our energy from batteriesA battery is two or more electric cells joined together that can produce an electric current when connected to an electric circuit. and some from the mains. But what's the difference? 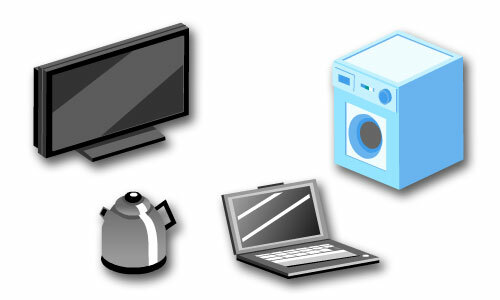 Batteries are great for powering electrical appliances that need less energy and that need to be portable - we need to be able to carry them around. 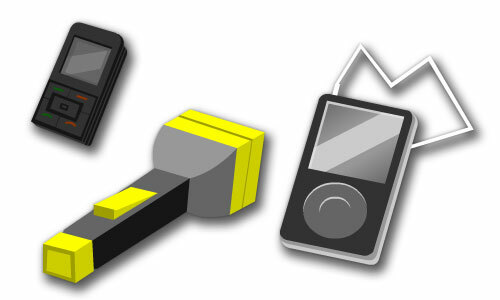 Things like mobile phones, torches and mp3 players are all powered by battery. 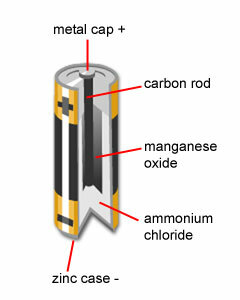 Batteries use chemicals to store energy. When you turn on a torch, the energy stored in the chemicals inside the battery are transferred to the bulb by an electric currentElectric current is a flow of electric charges (electrons).. The bulb then causes the energy to be transferred to the world around us by heat and light. Just like electric current, heat and light are ways in which energy can be shifted from one place to another. 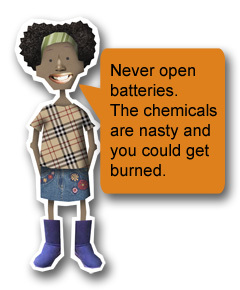 The chemical reactions in the battery don't last forever. As they begin to stop, less energy will be available and soon the battery will not be able to produce an electric current. We usually say the battery will 'run out' - it will 'go flat'. We could never meet all of our electrical energy needs using batteries alone so it is just as well there is another, more powerful source of electricity. Mains electricityElectric current supplied to our homes from the national grid. is great for all sorts of important things that require lots of energy. You can find out more about how electricity is generated in the Over 11's area of Power Up.